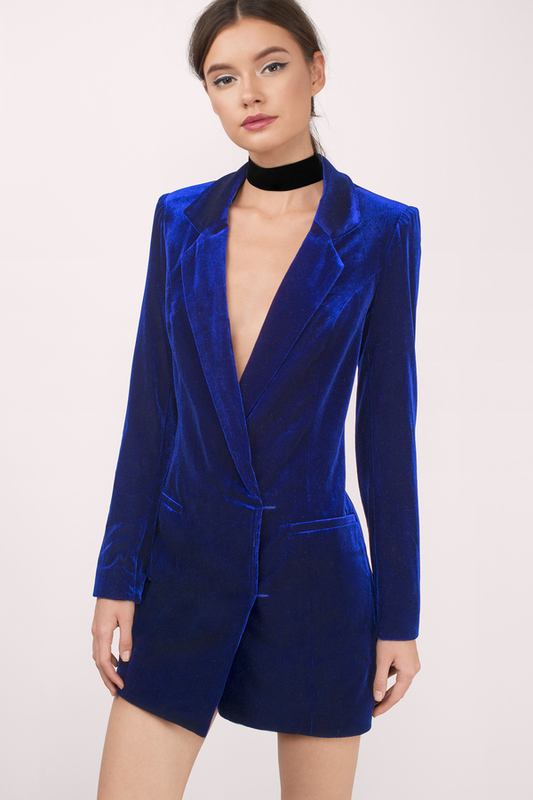 I personally fell in obsession with this trend last year after wearing a badass black, satin detail blazer from C/MEO Collective for NYE. From that point on, my eyes couldn't unsee the look anywhere I went (online and IRL). Obviously I wasn't the only one feeling it; a piece like this makes multiple statements and allows for endless style options, from sleek and classic silhouettes in solid colors, to bold prints and cuts that accentuate curves. This particular blush colored treasure from AKIRA Chicago is the perfect fusion of subtle and standout. 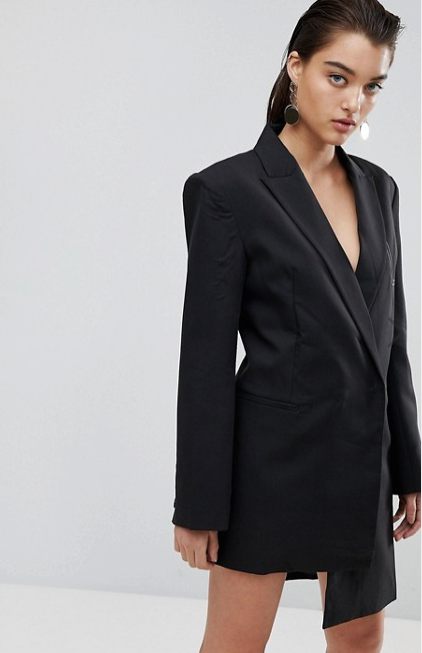 The structured shape and button-lined sleeves bring the business while the peplum accent keeps it fresh and unique.